One of the conditions outlined by General Motors in negotiations to sell its European Opel-Vauxhall unit to PSA Group is a non-compete clause that would preclude the French automaker from selling Opel vehicles in certain markets. According to German magazine Der Spiegel, GM is only willing to license the production of Opel cars to PSA if it agreed not to sell them in North America, Russia, or China. It’s worth noting that the condition only applies to existing vehicles developed by Opel under General Motors’ ownership, such as the Adam, Mokka, Corsa, Astra, and Ampera-E. The non-compete does not apply to Opel-branded vehicles that PSA will have designed and engineered itself after purchasing Opel unit. PSA declined to comment on the report to Reuters, while Opel was not immediately available for comment. On February 14, Paris-based PSA Group, which runs the Peugeot, Citroen and DS marques, confirmed that it was negotiating the purchase of GM’s European Opel business, which includes Vauxhall. If successful, the transaction would create the second-largest carmaker by sales volume in Europe behind Volkswagen. GM should not allow existing Opel models to be sold in any markets, other than the European market, which they are exiting. I still think this pending deal may result in some form of a partnership. I agree with it as well. It will only take a single generation for PSA to get their own Opels out the door. As for a partnership… I hope not. The two firms are very different in every way imaginable, including major cultural differences on the corporate level. GM just needs to get this sale done, rid itself of the expensive European plants that make it nearly impossible to turn a profit in the region, then reintroduce Korean-made Chevys into Europe. Game, set, match and (finally) profit in Europe. Alex, is obvious, a kind of non compete clause must be agreed. I just wonder PSA should accept Russia ban. 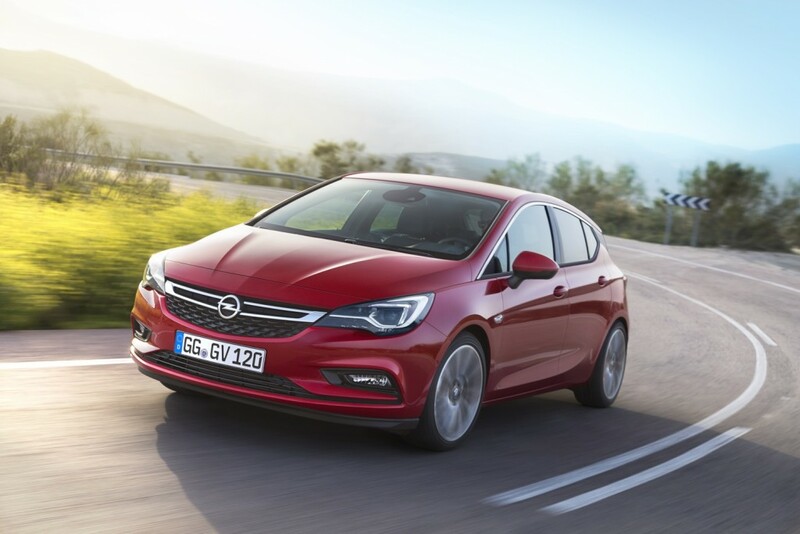 Is GM who exited this market with Opel brand…. I also agree partnership wouldn’t work – an alliance from the past shows it clearly. But let me disagree with your statement about expensive European plants – there are a lot of manufacturers making profit out of European plants, means something must be wrong in the concept which doesn’t allow GM repeat success of its competitors. Reintroduce Chevy in Europe will not suceed. The same for the so called invasion of Cadillac in Europe. If GM quits Europe it will be forever as long as GM don’t purchase another European company. Totally agree, if this deal goes through GM is out of the big league and no longer a global company just a large provincial corporation – nothing more. And they only have themselves to blame. I disagree! I think GM will be just fine, they will make this sale and then start a plan to bring Chevy’s, Buick, and Cadillacs to Europe at a price they can either break even or be profitable which was never the case before! I’m sorry but that is just delusional. Chevy is rightly seen in Europe as being crap. They don’t come anywhere close to the quality European drivers demand. Just look at the quality of the US Chevy models and compare them with what Opel produce. Plus the EU will slap a ten percent import charge meaning GM won’t make any money on the imports. This would cause a major snafu in any other deal. But since PSA is getting GMs European divisions for fire sale prices it probably won’t. Agreed. Having discussed this with a few French industry watches while in Paris last week, the feeling I get is that PSA is looking at this as a sunk-cost deal in the short-term for the sake of major upside long-term. In other words, it’s a long-term play. What they are after is a German brand with a decent-good reputation. The rest, including Opel plants (except for those in Germany) and existing Opel car designs is something they will likely scrap within the next 5-10 years, thereby realizing significant cost savings and improving economies of scale. Alex, why do you (and mentioned industry watchers) think PSA would prefer to scrap those most efficient plants (Poland, Spain) over German factories? Today Opel produces over twice as much in Spain+Poland as in Germany. And the first plant GM closed in their last attempt to scale European operation was the German one. Yes after first closing a plant in Portugal and Belgium. I agree. You are partially right. Thinking about “post bankruptcy” era the first one was Belgium which was from the capacity point of view an obvious candidate. As per Portugal closed 10 years ago, you perfectly know what has been Azambuja plant producing – just limited volume of non-core delivery van that Spanish plant took over easily and that never came back to Opel manufacturing portfolio after end of production. Mike, the consensus seems to be that there is a proverbial mountain of politics intertwined with all of this, and the German officials are good at providing the necessary incentives (carrot) or penalties (stick) if a operations at a German plant were to be scaled back or a plant were to be closed. This all ties in with the promise by PSA to keep Opel an independent company. That might as well read “a German company”. In addition, the efficiency metric only takes you so far… while the AIPPV (all in price per vehicle) metric is what we should be looking for, yet do not know since it’s not public. This includes such items as financial incentives or tax breaks from federal government, state, etc. I also agree that “everything starts with a great product”, and believe that PSA + Opel/Vauxhall could in fact keep the sum of the individual volumes… if they do things correctly. To that end, I would posit that “regular” consumers will not know or not care what platform underpins a particular vehicle. Of course, those of us who watch this industry and its players 24/7 will know and care… but will the populous at large? Having worked on both the retail and the OEM sides of this industry, the answer is unfortunately “no, they will not care”. The only time that consumers will care about the platform is 1) when it is really bad (resulting in a negative overall driving/ownership experience) or 2) when it is really good (resulting in what some call the VW effect from the Golf/Jetta and derivates). Guys, there is also an elephant in the room that everyone seems to be overlooking just now! France has a general election coming up this year. Increasingly it is seeming likely that Marie Le Pen may well win, in which case she will push hard for a referendum for France to exit the European Union and reclaim the French Franc. There is a strong possibility that FREXIT will happen, meaning that PSA/Opel will wind up having 60%+ of its European manufacturing capacity based outside of the European Union, ie. in France and the United Kingdom! There is a very real sense of nationalism rising all across France at present and in the event of FREXIT, Le Pen will look to the UK as France’s natural and historical ally. A potential FREXIT could well prove a very different positive spin for Luton and Ellesmere Port strategic importance to PSA/Opel going forward. I take bets for Macron to win. I said this long before Le Canard Enchainé’s attack on Fillon. GM should keep Vauxhall – which has profitable factories – as a local base for manufacturing cars for Britain and other right hand drive markets and Europe. The welcome realignment of the pound against the Euro will continue, more than making up for any tariffs Europe might impose on British Exports (which I don’t think is likely as the Germans in particular will not want reciprocal tariffs from the Brits on their exports). GM will regret leaving Europe and becoming just an importer. No company has made a success in Europe of just being an importer and GM will be no different. Kia and Hyundai have plants in Europe, the only two major Japanese players (Mazda and Mitsubishi) without plants are mere bit players in Europe. Opel is indeed too costly to keep but Vauxhall is not. There are signs that the British government might be beginning to recognise the importance of manufacturing and there is a growing body of new, fresh talent in the UK thanks to investment by JLR, Nissan, Ford, GKN and others. GM could draw upon this in the same way Nissan has with its British design centres. Andy. Sorry but I hardly believe UK factories are those profitable. I agree making there cars for Britain would be an idea but considering most of supply base out of UK, logistics kills the business case. Nobody knows what will happen with GBP exchange – let me remind you its fluctuation was (at least officially) one of the reasons of weak Opel results in 2016. Also nobody knows UK future relationship with “continental” Europe. I personally wish you all the best, but is really hard to predict anything. And last but not least – I hardly believe UK may compete with plants where most of Opel cars are manufactured currently (Poland, Spain or even Eisenach, Germany) – and those produce over 70% of today’s Opel volume. I can only assume you voted to leave with this nonsense. 10% tariffs will be imposed and it will be the end of car manufacturing within the U.K. Unless the British have decided they only want to buy the Astra in the U.K. the plant will never be profitable as 80% of the Astra’s produced go overseas. Please be aware that the British automobile industry (as all other industries) is still in existence only because of the more than four decades of Britain being part of the European Common Market, and as a cheap labor export platform to all of Europe. That will be over with Britain being outside of the European Common Market. Also please note that the British automobile industry is all foreign owned, with the exception of a few tiny companies like Morgan. The labor cost argument has already led to Slovakia having become the European country with the largest number of cars produced there per head of the population. The two GM factories on the island are also mainly exporting beyond the channel. And most of the Vauxhall branded cars which are sold on the island and the northen six counties of Ireland are not being produced there. The one company which will be the most affected by Brexit is BMW, who produces their Mini brand only in Oxford. They will have to look for other production facilities for their Minis. Jaguar on the other hand will soon produce in the new factory which Jaguar’s owner Tata is building in Slovakia. Can GM build a new plant somewhere in Europe and build Chevys, Buicks, and Cadillacs for the European market? No one would buy the cars when they were exported to Europe. What makes you think building a plant there would do any better? Which is why I said the people of Europe have no right asking GM for help now because they refused to support GM in the past. I hope GM gives zero securities to those people when the sell is final! This will teach them that you can’t thumb your nose at us and then expect us to help you. Why build a plant in Europe to build Chevys when you can import them from South Korea for so much less? Some figures I’ve heard is that selling even 5,000-10,000 Chevy units across Europe on a monthly basis will turn a profit… which is more than Opel has done for GM in the past 16 years. Anything above that becomes a financial gravy train of sorts. As for Cadillac, I believe that sales volumes will need to reach 7,500-10,000 units a month to make a European plant worthwhile. That’s based on some discussions Lexus was having years ago as it was entering Europe… and I imagine that the figures are similar for Cadillac, as both are highline marques. So until that happens, expect Caddies to be improved from North America (or perhaps even China). Because of the transport costs, all Japanese and Korean automakers have established factories in Europe (even Mitsubishi had a production base in the Netherlands). But this all depends, and makes sense only when there is a sufficient large number of sales already. But before that is achieved, Europe might have gone under in the next war against Russia. Besides, if there is an embargo against selling the PSA-owned Opel cars to markets which are currently not targeted by GM with Opel branded cars, expect that PSA would require the reverse, i.e. respecting a grace period before reintroducing Chevrolet (besides Camarao and Corvette, which are currently already marketed in Europe by the Opel Group). As to the countries where Opel produced cars are currently marketed under the Opel brand, see the opel.com website. There are also some areas, I believe in South East Asia, where Opel cars are marketed by private importers. Also have a look at holden com au and their lineup of cars being produced in Europe in Opel factories. Remember the grace periode agreed between VW and BMW when VW acquired the Rolls Royce Motor Car company, but did not get the rights to Rolls Royce marque… Both agreed on three years, where VW could buld the Bentley brand at the detriment of the Rolls Royce brand, and BMW hat the time to build its own Rolls Royce factory in Woodland. Similar agreements are probably on the table in the PSA-GM negociations. I can’t imagine a one-sided embargo on PSA-Opel with a completely free hand for GM. Expect reciprocity in such demands. Who’s ‘us’? You certainly don’t speak for GM. GM should be saying this to the people who are complaining about their jobs going away. This is why I stated long ago we need to see all the details as there is much more to this than what is being reported. The storied we are getting are snippets of incomplete information and far from the whole story and just have been poorly reported. Not unlike much of the media today. A non compete clause would be mandatory here if they are sharing any products. If not GM would raise the price on the sale to buy out these markets to compensate GM for these markets. The leaders and the legal staff here are not that stupid. I stated such back on the 24th here. There is no real infighting here. GM has a division that is in a place where they are losing money and all the conditions that they are under prevent a quick or easy fix with government issues and labor. It is like a very infected finger where you hate to lose it. But it is better to lose the finger vs. the whole hand or even your whole live or in this case company. Old GM would have just held on to this and continued to lose money but today they will act and take care of the issues involved here that are beyond their control. GM is not going to let them compete against them with similar product in other markets for a while a time to be determined Also anything of strategic need to GM in engineering or styling was removed to other parts of GM before a sale was made. It is like selling a car you clean out all that you needs before you move it to the new car. Again all of us need to stop getting silly over the small incomplete stories and let the full details be released on they are complete. Even at this point GM is still sorting the agreement out. This is why I am so happy about this deal being done getting opel aka (boat anchor). Now GM can formulate a plan to be in Europe and be profitable. This is true. But Russians also love Chevy. So why GM decided to exit the market some years ago ? GM did not want to get anymore vested in Russia as sanction were on due to their activities with Iran. GM was worried they would loose it all if it went south. Even now Russia may be a major risk to invest in. Putin is a wild card. Having thought more about it, I came to the conclusion that those non-compete clauses are not being imposed by GM, but by the market. In the Chinese case this is self-evident. The 25% import tax would make an Opel Astra or Insignia imported from Europe much more expensive than the local produced Buick Verano and Buick Regal. Similar for North America (NAFTA). Regarding Australia and New Zealand — one might say that a Holden Commodore and an Opel Insignia coming from the same factory in Rüsselsheim, sailing on the same ship to Australia should not be too different in cost arriving at Australias shores — but would the Opel branded twin of the Holden Commodore fly on the market? I don’t think so.